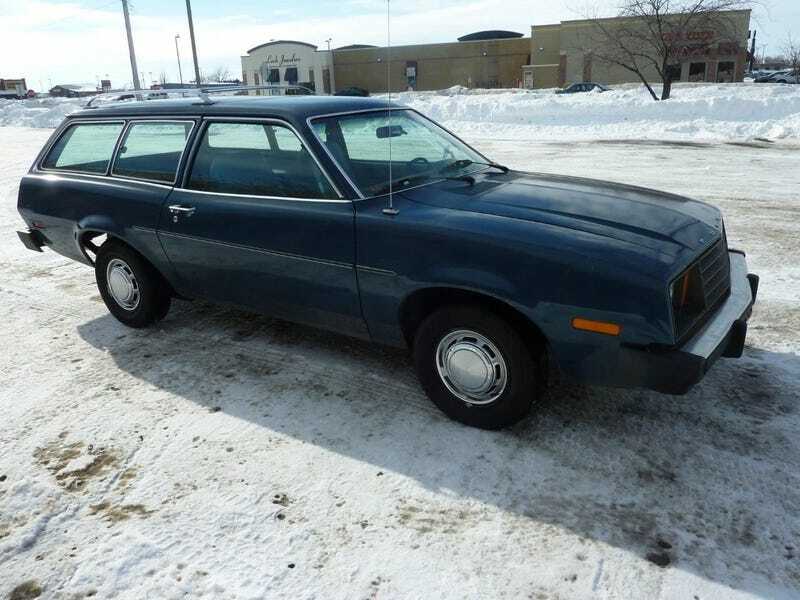 eBay Find of The Day: 2 Door, RWD, Manual, Wagon ed. The earlier round gauges look better, but these aren't too bad. Also note the lack of a tach, my dad's didn't have a tach either until he put an aftermarket one in, not a really hard job. Same blue on blue vinyl interior that mine had, and no, those seats don't recline, they just flip forward. Needs a new carpet. The sill plates aren't corroded, that's rare.